My Home the Money Pit! 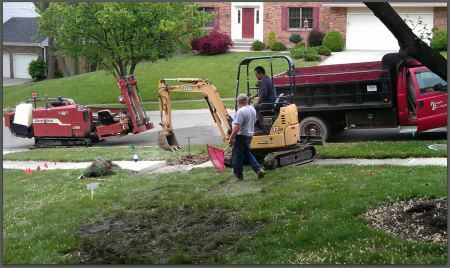 Just to be clear in our neighborhood, the water line from the street to the house is the home owner’s responsibility. And while running a new line any repair or replacement of any damage to our much coveted sidewalks is also our responsibility. The plumber arrived the next day to scope out the job and provide us with an estimate. Since the original line was copper this job required a different route for the new line. Of course part of the replacement required removing one block of sidewalk concrete which required another estimate from the concrete guy. 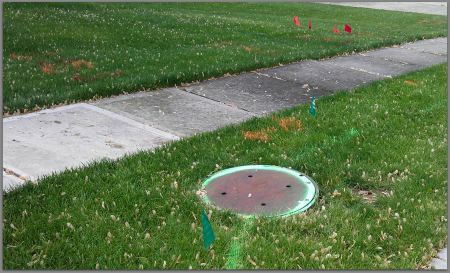 If we’d been lucky and had a “blue max piping” problem, sometimes plumbers can run the new line through the old one -saving digging and trenching costs…but no such luck. If you had purchased my home (no it’s not for sale…yet) and closed in March- the waterline would have been your expense. We haven’t had any past problems and the neighborhood hasn’t experienced a rash of water line leaks so there was no reason to anticipate a leak. Today’s buyer, within the greater Cincinnati real estate market, typically puts 3.5% down, often requests the sellers to pay a 5 of the closing costs and leave the closing with little, if any, cash reserves for a rainy day. Some people are very lucky and have plumbers, concrete contractors, electricians and other helpful types as family members or close friends. But in my experience most buyers have to pick up the phone, call and pay somebody to make the repairs. Buyers need to use common sense when making a decision to purchase- even though you may be “qualified” for a certain loan amount- are you over committing and underestimating the cost of home ownership? Home Warranties are a good hedge against the cost of repairing/replacing major appliances and systems-but they don’t cover the goofy expensive things that pop up unexpectedly. As a Realtor(c) it’s my job to help you navigate your way through the buying or selling process….but as a home owner and a mom I admit that some of the buyer’s lack of reserves scares me.